Are you ready to open to a higher spiritual path, take your next steps and be able to receive and radiate more light and love? Are you ready to play a bigger role in the world and to deepen your contact with your true, innermost Self? 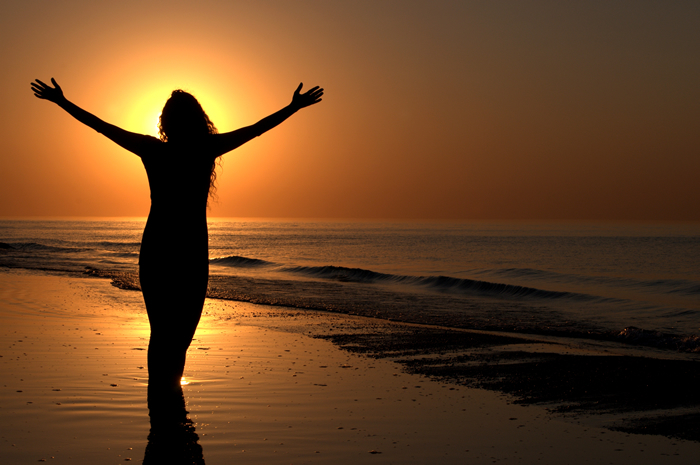 Then this Spirit Journey with Esther Bartkiw is perfect for you. Imagine standing at a river’s edge. Rays of sunshine warm your face and dance along the water. You hear a playful splash. Then a trumpeting sound fills the air and suddenly you find yourself soaking wet. 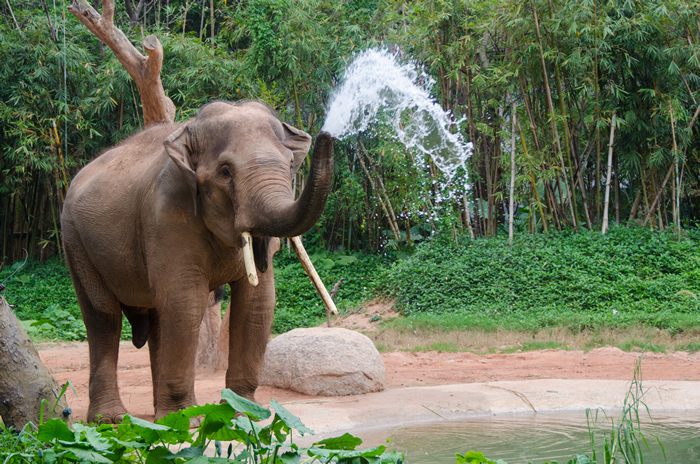 But you don’t care because the water soak comes courtesy of the most exquisite creature a beautiful Thai Elephant who is lovingly nudging you into the water for bath and fun time. You have just experienced the most amazing meditation in a Buddhist Temple. The inner stir of love, peace, joy, harmony and compassion radiates all around you. You hear birds singing in the distance; the sound of bells, a call to worship. You open your eyes delighted to see a Temple Monk eager to offer you a special blessing and nourish your Soul. Experience the lively atmosphere and the calls of Hucksters vying for your attention. You enjoy a Sunday evening stroll through the local market where you can bargain your baht away on handicrafts, jewelry, clothes, food and tribal ornaments and accessories. Take a break from browsing and sip on Cha Yen, or Thai Ice Tea. A unique blend of traditional tea, orange and condensed milk that creates an enticing aroma and one of the most popular drinks in Thailand. After dark performers fill the street entertaining you with their special brand of dance and song placing you in the perfect space to head back to your hotel for a night of slumber before another day of adventure unfolds. Everywhere you go people are smiling. You feel their warmth, genuine sincerity and enjoy their friendly nature.Quickly you find that you can’t help but smile back. It’s no wonder Thailand has been anointed as, “The Land of Smiles”. 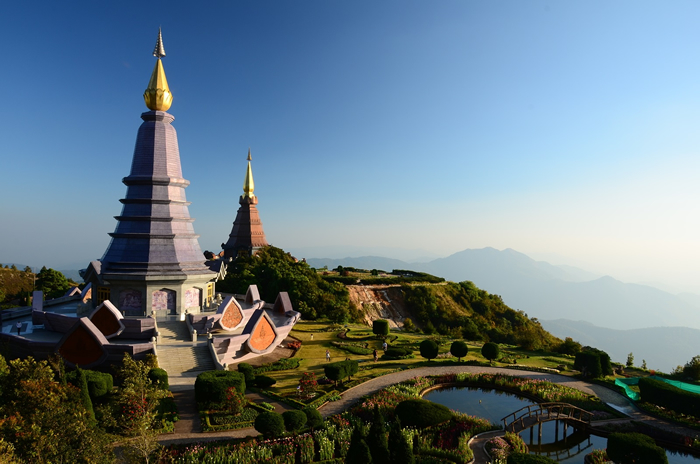 Ah….This is the Kingdom of Thailand the perfect setting to Awaken and Nourish The Buddha Within. I had an amazing time on my sacred soul journey with Esther in Iceland. I’ve been taking singing lessons for a few months now and for the first time since Iceland I was able to sing with power and I could feel how connected I was to the energy flowing through me. I also play singing bowls and since Iceland I have been toning differently. I’m finally starting to tap into my deep innate gifts and I definitely think this is connected to the trip to Iceland. There is an ease to Esther that is very nice to be around. I couldn’t recommend a soul journey with her more! Feel more empowered, settled and comfortable with your Authentic Self, bursting with compassion and the desire to create peace and harmony where ever you go. It’s easy to forgive others and see past their outbursts showering them with love and acceptance; creating more peace and joy in your own life. Strengthen the connection with your inner Buddha able to move forward living as the Love that you are; Love being the highest vibration. Gain knowledge of ancient wisdom, cultures and traditions thus cultivating acceptance of people and practices different from your own; more harmony. Infuse Elephant Medicine into your mind, body and energy field crumbling away issues, beliefs and blocks standing in your way of living the juicy life that you desire while filling you with confidence and the art of gentle communication. With eyes full of wonder and a heart wide open imagine returning home radiating your inner Buddha and all of its qualities, talents and abilities. What might change? Transpire? What new will come into your life experience? What are the possibilities? What will this expansion of Self draw unto you? This is an experience not to be missed and which will profoundly change you and your life. I want to go on this amazing journey!! 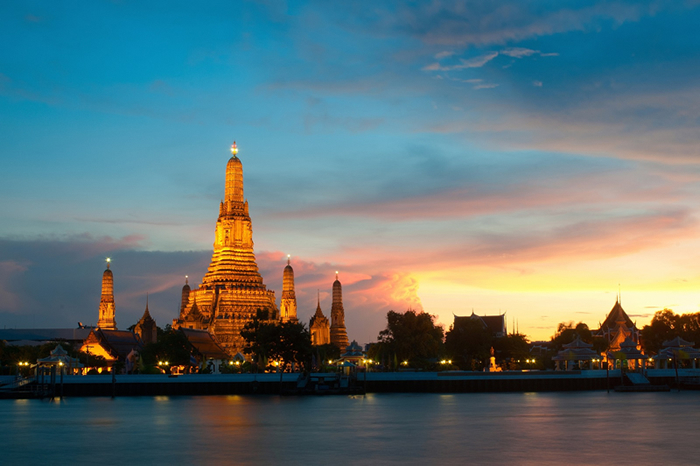 “One Night In Bangkok.” Have you ever wanted to live the lyrics of a famous song? This is your opportunity to live not just one night in Bangkok but three! Enjoy spectacular views 820 feet off the ground at The Dome, Sky Bar regarded as Bangkok’s best rooftop bar and one of the highest in the world. No wonder this stunning Sky Bar was chosen as the backdrop for the Hollywood Movie, The Hangover. Mix in a buzzing vibe and innovative cocktails and surely this will be a night to remember. Fancy a crazy exciting ride on a Tuk Tuk? You can’t visit Thailand without having the experience. Fulfill that wish of: I always wanted to do that. 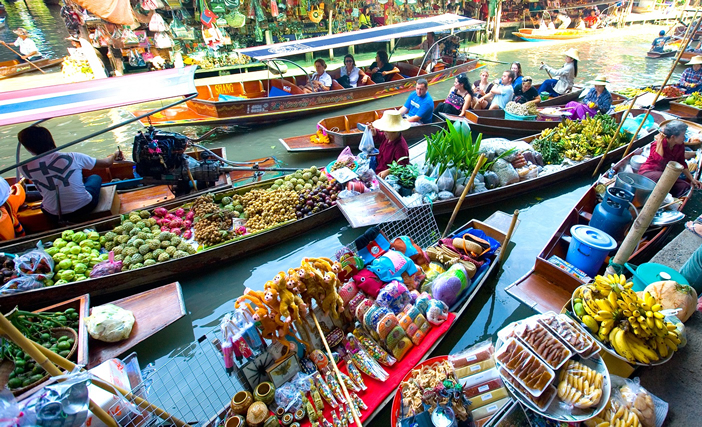 Bargain for souvenirs and savor delicious tropical fruits from the comfort of a long boat while traveling along the canals and through villages of a Floating Market. Lace up your hiking shoes for a trek through the Jungle. Walk across a bamboo bridge, through lush green fields, across rice patties and stop at a remote waterfall while watching for rain-forest birds. Will you spot a parrot or toucan? 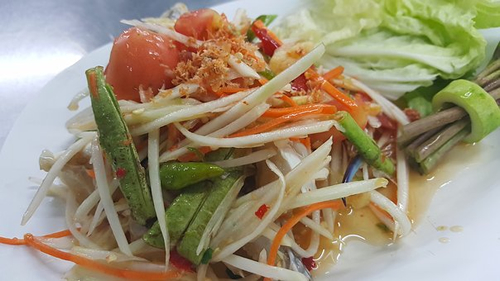 From finger lickin glorious BBQ to the famous Khoo Soi chicken noodle curry soup, Thai cuisine is fresh, healthy and has something to offer everyone. Pass the Mango sticky rice please. 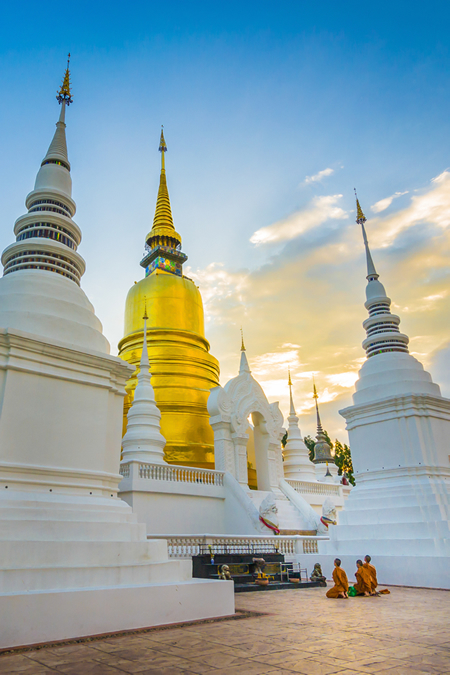 As the setting sun caresses your face, you stand in the most sacred temple in Chiang Mai on top of a Mountain. 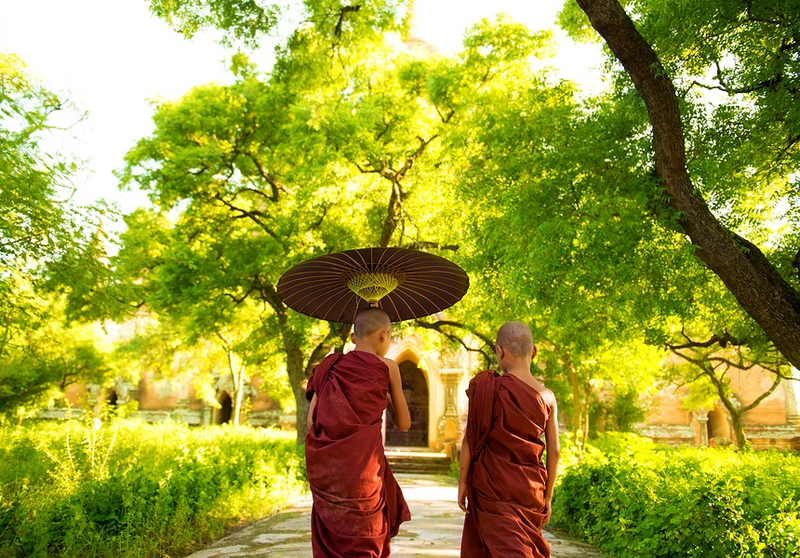 Accompanied by sounds of brass wind chimes monks clad in robes of many colours chant prayer songs. Receive and feel the blessings and vibration through sight, sound, scent, motion and frequencies. The love and serenity touches your heart. Feeling a Shift and holding a memory to carry with you always. What would it take to have a private group sit down in a Thai Temple with a Buddhist Monk and ask him your most burning questions about Life, God, Spirit? What if the answers stirs something so deep in your heart that life is never the same? Sound good? Would Your Inner Buddha benefit? What about you? We’re doing it on Day Seven. How amazing is that? Is Your Inner Buddha Blocked? Participate in personal group sessions with Esther as she guides you through processes and activation’s to meet and set free your Buddha, and begin walking together through life hand in hand. Weaving Elephant Medicine throughout the sessions brings alive more wisdom, compassion, royalty, confidence, patience and discernment. Since Iceland, I feel more loving of myself. I take steps to improve myself with confidence that I am worth it because I am capable of expanding into the larger realities of Love. The energy work you provided daily felt great. I also felt the benefits of our 3 group sessions. The mix of people on our trip was perfect for my “healing.” Thank you Esther. I think you are wonderful and awesome and brave. I love your authenticity. You modeled for me genuine self love and self confidence. Your work models the strong connection to Source that is available when I am ready. I Am Ready To Awaken and Nourish My Inner Buddha! Get ready for a whirlwind 3 Night stay at the gorgeous and luxurious Anatara Riverside Resort, offering a thriving Oasis of pampering and nature in the midst of a major world city. Majestic palms sway in the breeze. The flowery scent of lush tropical gardens tickles the nose. Thai tradition. Impeccable service. Sunsets from the pier. Delectable meals. The twinkling lights of the city skyline at night. This is your home in Bangkok. In Chiang Mai we settle into Denaga Hotel, stylish and contemporary with a distinctly exotic Thai decorative flair. Known for their service excellence, the hotel feels like a resort and yet is poised in the centre of the old city. Steps away from culture, shops, restaurant; local city life. This boutique hotel evokes a sense of calmness and relaxation and offers spa and pool facilities, an art gallery, restaurant, bistro, cafe with a gourmet bakery and free wifi. 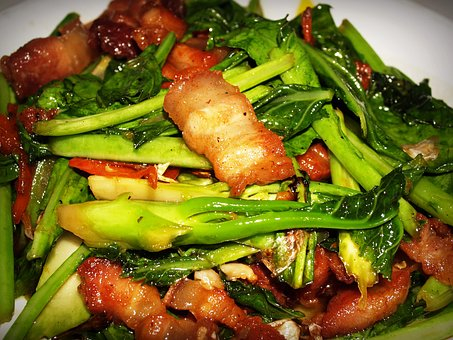 What makes Thai Food so Unique? A Distinct Blend of Herbs and Spices that create a balance between different flavors including spicy, sour, sweet, salty, and bitter. This is NOT the Thai Take Away you get at home. If you like your food nice and spicy try Som Tum or Green Papaya Salad. Your tastes buds go wild with the burst of flavours. Or Green Chicken Curry: Delectable morsels of chicken, tiny eggplants, the most tender bamboo shoots, enhanced with coriander and sweet basil, these ingredients combine to make this iconic curry. But it’s green you protest? That’s green curry paste stirred into hot creamy coconut milk. Delish!! What about Street Food? Phat kaphrao: stir fired chicken or beef with holy basil and a generous helping of garlic and fresh chili. 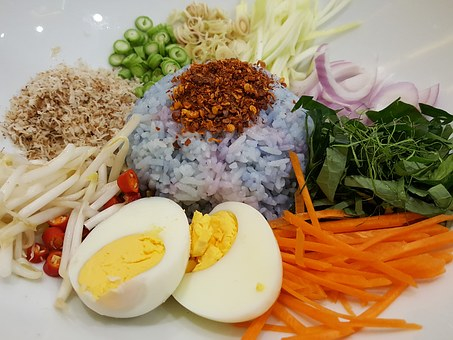 Served over rice and topped with an egg it’s a one dish meal that the locals eat. Pass the napkins. For the vegetarians no worries. Thailand is a country of bountiful fruits and vegetables that can be purchased at any market in their natural form or as salads, smoothies and juices. PLUS, tell your Server “Gin Jae or Jay,” which means you are a vegetarian or vegan for help with adjusting menus. in exotic, vibrant, spiritual, friendly Thailand? Compassion for others oozes from every pour creating more harmonious living with all. As a result your life takes on a whole new energy, perspective and vibration. Life becomes juicier, more exciting, even the snafus don’t take you off your game as you connect with the Buddha within and shower everyone and every situation with love, compassion and harmony. You flow with grace through ups and downs, full of acceptance and curiosity. Wow your inspirations are off the charts. Your intuitive flashes are clear and strong. You wake up every day with the same joy and excitement of a child on Christmas morning. But instead of wondering What did Santa bring, you wonder what amazing creations will I manifest today? What contribution to the world will I make? This itinerary was divinely inspired and crafted to included activities to support Buddha like qualities of compassion, harmony, oneness and being in service. The stir you are a Soul and Heart level and create change within for you to carry with you wherever you go. We also made sure that we are going to a fun and adventure! Day 1: Nov 12, Sunday - The Journey Begins! Upon arrival in Bangkok you will be greeted by our guide Ms. Joy and taken by private transfer to your hotel for to rest and refresh after your flight. In the evening we come together to meet and get to know one another during our Welcome Dinner at the hotel restaurant. A beautiful time of sharing with like minded Soul’s. 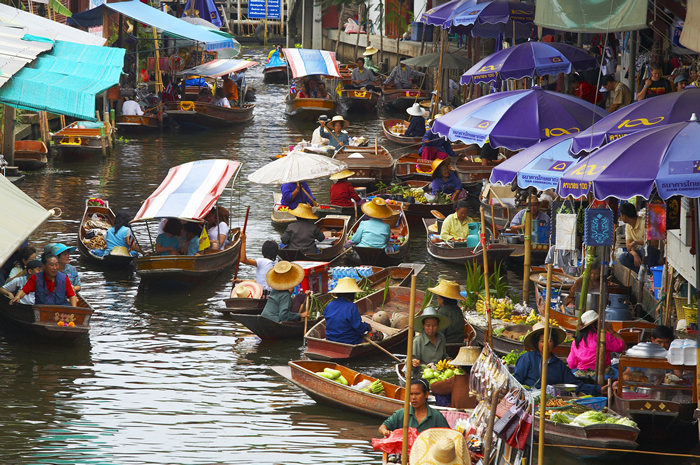 Spend the day immersing yourself in the culture, tradition, sights and sounds of Thailand. 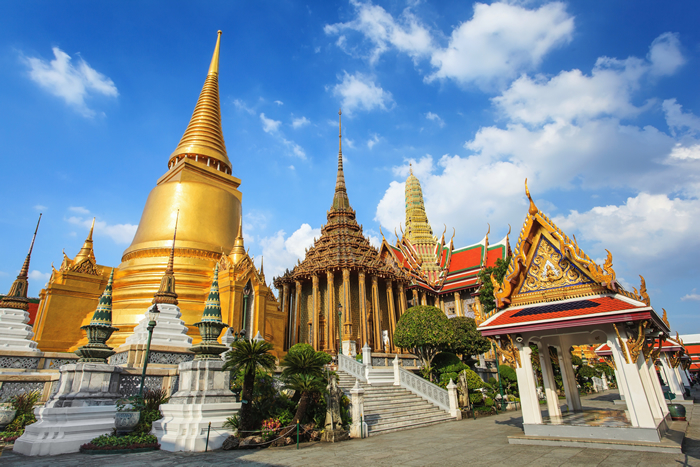 We will visit must see attractions including: The Royal Temple, Grand Palace and The Iconic Reclining Buddha. 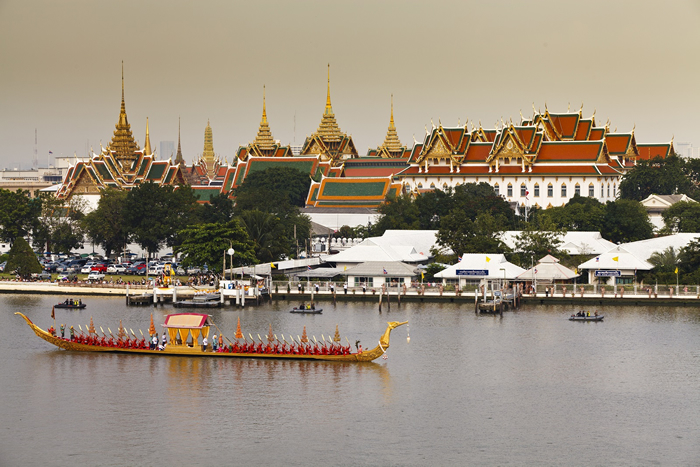 Hop aboard a long boat as we continue to explore Bangkok from the water viewing important landmarks shrines like Wat Arun (The Temple of Dawn) a 67 meter high structure that reflect the glory of Thai Culture. Mingle with the locals at Pak Klong Talad the Flowers and Vegetables Market. Teeming with vendors, gorgeous fragrant flowers and fresh vegetables from the farm. In the late afternoon we return to our luxurious hotel where you will have the rest of the day at your own leisure. Early this morning, Ms Joy and our driver will take us to the Railway Market. This is a unique local fresh market which takes place everyday literally on the rail tracks. Just before the train arrives in town, the market stallholders have to pull back their awnings and remove their produce from the tracks. They then have to repeat all of this when the train returns. Fortunately it is not a busy track. The train leaves and arrives four times a day. Then we head off to Damnern Saduak Floating Market where by row boat we travel along the canal and experience Thailand’s most famous floating market. “Floating,” because the vendors are in small paddle boats selling their produce and some household items. Taste some tropical fruits such as young coconut, rambutan, mango, durian, mangosteen & more. Cocktails anyone? In the evening Ms Joy will take us by boat to the Scirocco Sky Bar located in the Lebua Hotel State Tower. Considered to be the Number 1 Sky Bar in Thailand. Take in the stunning views and the vibrant atmosphere. Definitely selfie worthy. Early this morning we make our way to Bangkok International Airport and board our flight to Chiang Mai where we meet our new guide Laily and by private transfer head to our new hotel. You will have some time to freshen up before our Tuk-Tuk ride around the Old City. We will stop at a local market where you can pick up some fruit and snacks and anything else that catches your eye. 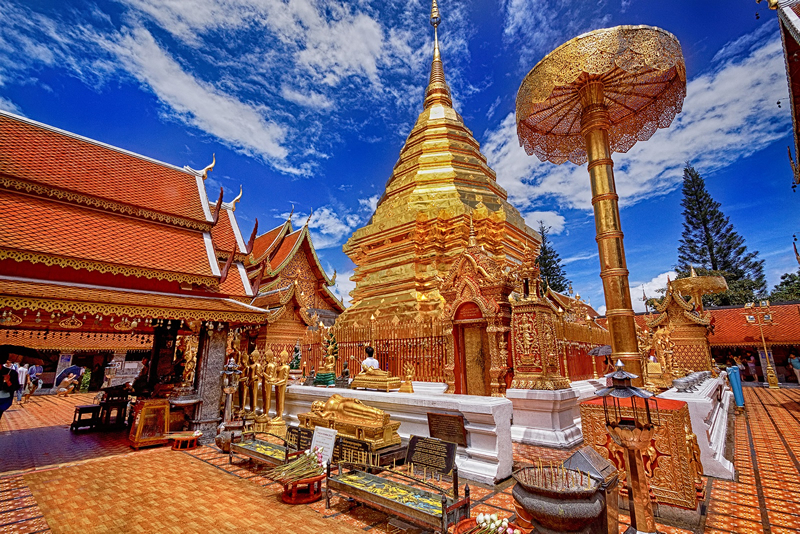 Afterwards we head to Doi Suthep which is considered to be the most beautiful temple in all of Chiang Mai, situated on a mountain side. On the way we visit Palad Temple an Ancient Temple situated near a waterfall. Here you can have some quiet time before we continue our drive to Doi Suthep Temple. A Spirit Journey often includes a pilgrimage and so we walk up stairs to Doi Suthep where at six o’clock the monks assembled chanting. A serene and beautiful experience. Feeling blissed out on the chants we return to our hotel, freshen up and enjoy our Second Welcome Dinner at the Gallery Restaurant. 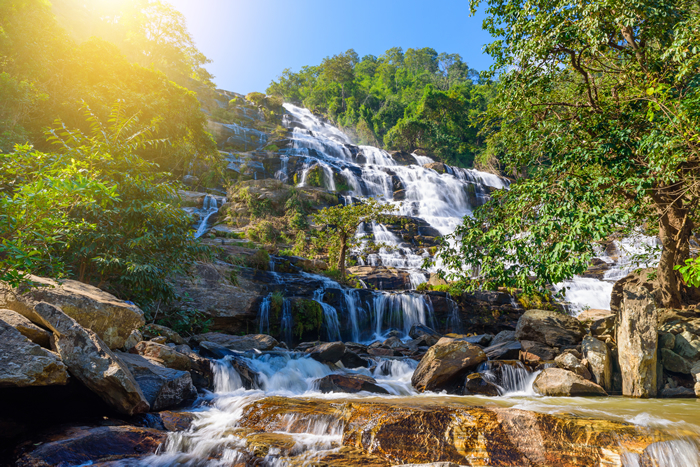 After a delicious and fortifying breakfast we travel to Doi Inthanon National Park and Thailand’s highest mountain (2565 meters above sea level), which offers beautiful scenery, evergreen forests and impressive waterfalls. There we find Wachirathan waterfall, by far the most beautiful and spectacular waterfall in the National Park. Next, we will visit the great twin royal stupas, which were built for the Royal Highness Majesties of the King and the Queen. The place provides a marvelous view of surroundings and opportunity to take a leisurely walk along a nature trail. After lunch we drive down hill and stop at the trekking point to start our two hour hike through the jungle along a river, waterfalls and rice patties until we reach Mae Klang Laung Karen village. Here we will have the opportunity to visit the Karen Hill tribe for an insight into their still very primitive lifestyle. After we say our goodbyes the to the Tribe we head back to the hotel and the rest of the evening will be for you. Today is your unique opportunity for a private group sit down with a Monk for meditation, introduction to Buddhism, spiritual practice, teachings and Q& A. Under a tree in the temple area we will enjoy a prepared boxed lunch followed by more meditation practice and discussion with our Host. After the program we are drive back to the hotel and the rest of the evening is for you to rest and reflect on today’s event. After breakfast we drive 50 km North to Baanchang Elephant Park. Where we change clothing and embark on an unforgettable experience with the elephants. 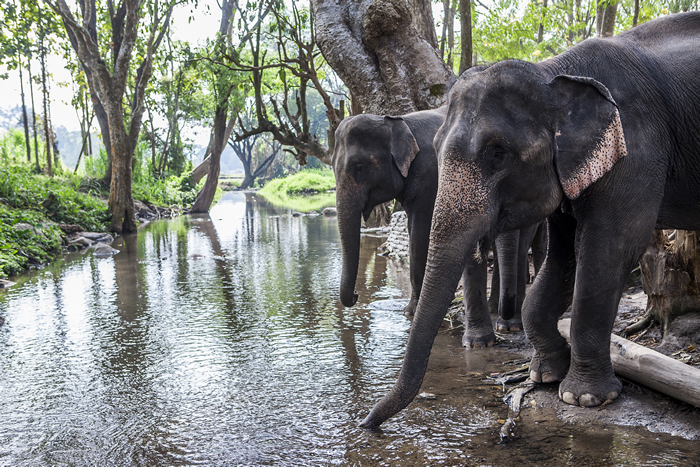 You will be able to take elephants for a walk in the jungle for feeding and for exercise while observing these exquisite creatures in a natural environment. Watch a professional give the elephants a health check and to wrap up this rare experience bathe with and scrub your elephant. What Fun! After lunch at a local restaurant (optional) we will begin the drive back to the hotel where you will have some time to yourself to process the Elephant Experience and energy medicine. In the evening we walk over to Puntao Temple and delight in an evening of chanting by the monks. The rest of the day will be for you to enjoy a nice lunch, do some shopping, book a spa appointment; perhaps sit under shady tree and journal your thoughts, feelings and experiences. The rest of the day is all for you. What is your pleasure? 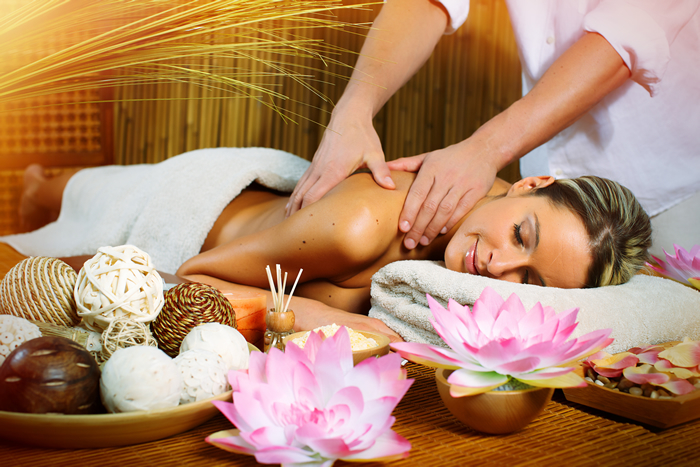 A bicycle tour, Thai massage or foot rub? A day at the pool, more shopping or sitting at a cafe sipping cool drinks while soaking in the energy and atmosphere? In the evening we gather for a Farewell Dinner at The Whole Earth Restaurant to reminisce and say our goodbyes. Ayurvedic cuisine for wellness. Food for enlightenment and spiritual development. 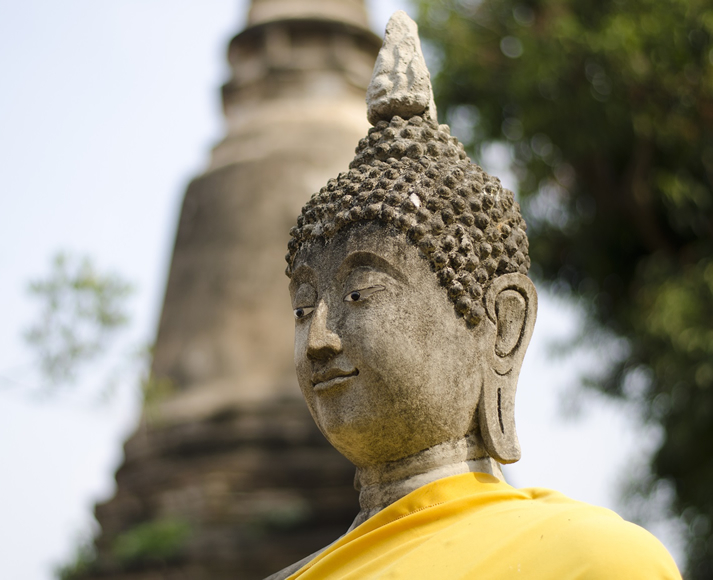 Having Awakened and Nourished your Inner Buddha and With your heart, mind and body filled to the brim with the energies, sights, beauty and the wonders of Thailand, it’s time to head home. Prepare to take fabulous memories, new dreams, awareness’s and a new You back to your homeland. You will be transferred by private van to the Chiang Mai International Airport to board your flight home. For those who are joining the trip extension to Chiang Rai, we will be picked up by our private driver and guide to begin the journey North. Pack your bags because after breakfast our adventurous group will be driven by private transport to Chiang Rai Via Thaton. First Stop Chiang Dao Cave. Full of folklore, temples, statues and interesting rock formations the caves have had a significant presence for the locals for over 1,000 years. Then we drive to Thaton and stop at the local Temple for meditation, soaking in the stunning views and lunch at a local restaurant. In the afternoon take a boat trip on Mae Kok River with a visit to Hill Tribe people who inhabit the mountain forests and land. Then it is time to head to our Hotel the Legend Chiang Rai Boutique River Resort & Spa by boat. 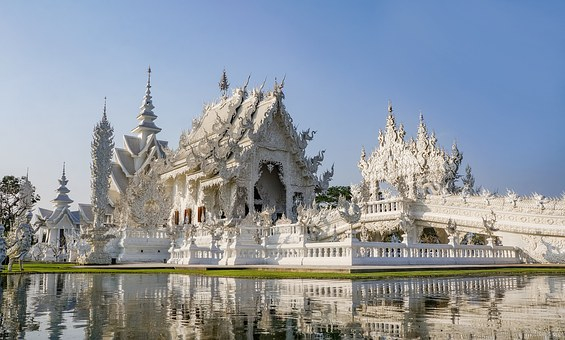 It’s time to visit the beautiful White Temple dubbed by many to be a piece of Heaven on Earth. Words like stunning and gorgeous do not do this structure justice. You have to see it to believe it. After our visit to the White Temple we drive to the Golden Triangle the place where three countries meet. Visit the Opium House and spend time wandering, exploring and soaking in the sites. We pause for lunch at the breathtaking Anantara Resort and Spa with beautiful views over the Golden Triangle (cost of lunch is not included). Then it is time for a Border run and a visit to the Northernmost point in Thailand with some shopping at the local market. So much to chat about on our drive back to the hotel where the rest of the evening will be at your own leisure. Our Sacred Spirit Journey To Thailand wraps up with one last delicious breakfast at the hotel. And then it off the airport for your departure home and wonderful memories of Thailand the Land of Smiles, Buddha and Exotic Adventures. Deluxe Accommodations for three nights at the Anatara Riverside Resort Bangkok and Superior Room for six nights at the Denaga hotel double occupancy. Three two hour sessions with Esther chalked full of energy work, processing, Q&A, PLUS on site meditations. Private Transportation from Airport to Hotel on Day One and from hotel to Airport on last day. OMG!! I'm ready for Tailand! Drinks, Food at Sky Bar. Other non-included items include souvenir shopping, personal phone calls, spa services, taxis, laundry, bell boys, and tips for your room attendant. Any Entrance fees for places not listed in the itinerary. 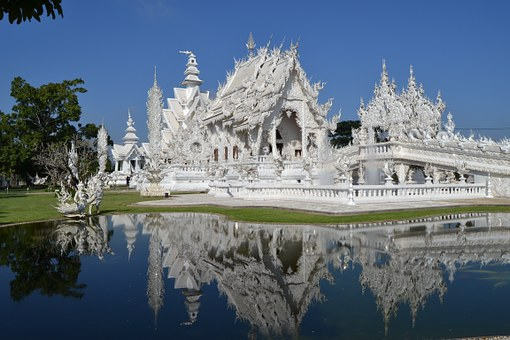 Join Esther on an Optional 3 Day Extension To Chiang Rai to visit the Famous White Temple dubbed Heaven on Earth. Visit the Opium House. 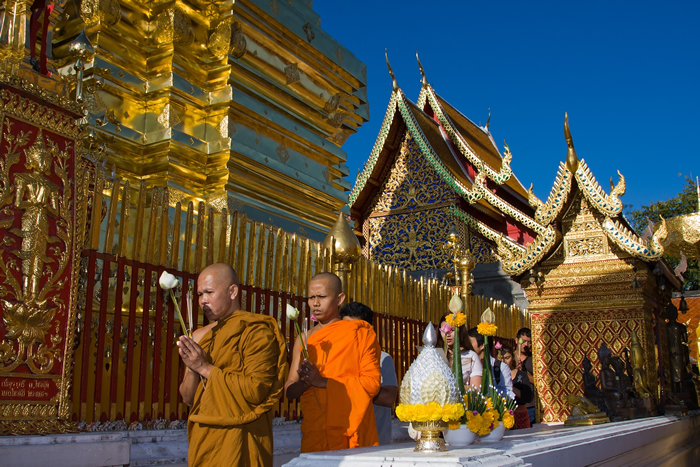 Spend time in the Golden Triangle where three countries meet: Thailand, Laos and Myanmar. Mingle with the Hill Side Tribe. 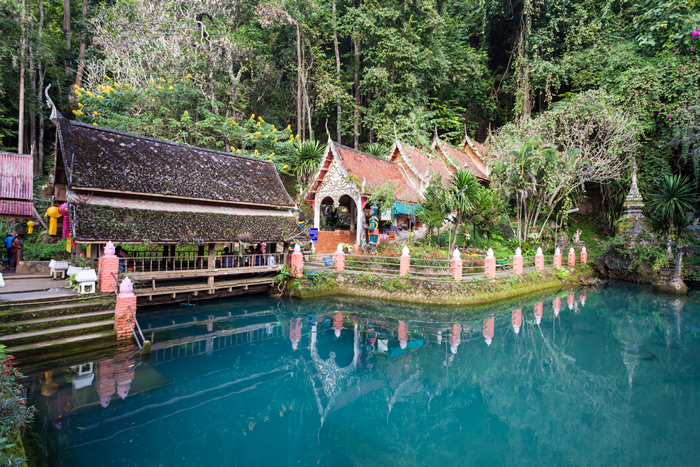 Plus explore Chiang Dao Cave full of interesting rock formations and home to temples and more Buddha statues. Not to be missed! Most people will arrive into Suvarnabhumi Airport Bangkok. You must book your flight for arrival by 2 pm November 12th at the latest. Departure Flights will be from Chiang Mai. You may have to fly to Bangkok first and then connect with a flight home. 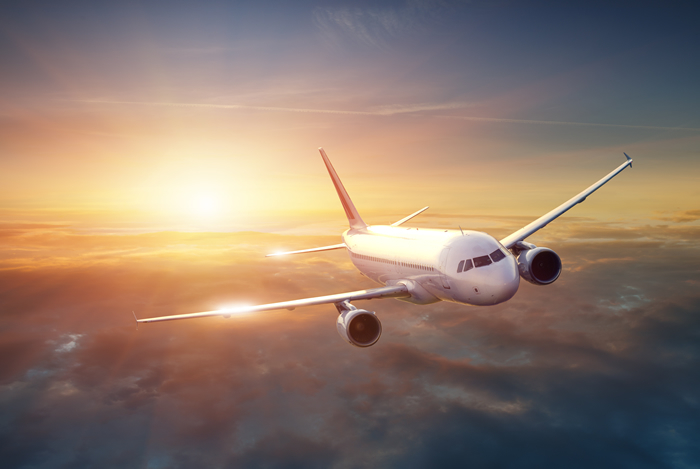 Be sure to contact our Travel Planner Extraordinaire for help in booking flights to make sure you end up in Thailand at the right time and in the right place. And return home effortlessly. Feel free to ring him at 866-866-5566 or contact him via email at ales@journeysofthespirit.com. I just returned from Iceland with Esther where I released a lot of energy from my physical body. I am a different person today compared to who I was before the trip. I released my fear of edges — ends of the earth, ends of time; standing on the edge; ends of anything. It all disappeared! Esther helped me physically release my fear of being at the edge, while we were at a volcano. Esther is an energy worker who is kind courageous and helps and guides you through your fears and blocks. It was a great experience and I do recommend Esther Bartkiw’s trips! They are once in a lifetime experience. “My first taste of guiding a Sacred Spirit Journey was to the Bosnian Pyramids. The retreat offered participants not only an exciting adventure but also facilitated personal change at a very deep level. It also stirred up within me a desire to offer more Spirit filled transformation journeys. The most recent Spirit Journey To Iceland was fun, powerful and transformative beyond belief! And now we head to Thailand. I am excited to see what unfolds for all of us. I believe that experiential travel is soul stirring, inspiring, heart opening and above all life changing. It allows for personal growth from connections with other cultures, people and energy hot spots around the world. Another magical, change filled retreat is complete. Watch for the next sacred spirit journey soon.